Are You Age Positive? Positive ageing refers to maintaining a happy lifestyle, staying healthy, engaging fully in life and feeling good about yourself as you mature through life. Many of us react to the aging process in one of two ways. Firstly we see the negative side, associating it with decline and loss. Secondly we become insistent that age is just a number and tend to deny and disguise the progression. Ageing means experiencing significant changes, such as physical, relationships, and employment. Having and maintaining a positive feeling towards ageing can help us feel good and have a sense of control. However I can’t help noticing that somehow ageing has lost its association with wisdom and experience, and become something to fear or feel ashamed about. We look at “old” as an insult, so are inclined to get defensive about our age. Never the less in some cultures aging is a privileged rite of passage that brings with it honor and added respect. As we mature and develop wisdom from our experiences we realize these are valuable attributes. Adults of 60 and older are now the fastest growing segment of our population. Having reached this marker myself I can truly identify with the three D’s: decline, denial and disguise! But this hasn’t stopped me from following my dreams! I have experienced tragic loss, failure and rejection but have also experienced abundance, fulfillment and happiness. As we age our lives and experiences become imprinted on our face, mostly in the form of habitual lines and wrinkles. Many of us through the years will try to reverse this process by engaging in cosmetic treatments and surgical procedures. Some of us will realize that we cannot turn the clock back, so instead will embrace what we have by following a natural path of looking after ourselves both outwardly and inwardly. Preserving our beauty as we age doesn’t have to be viewed as hard work, instead provided we keep a solid foundation of positive thinking and healthy rituals the beauty will shine through. Keep a positive attitude – Try to see the bright side of everything. Being optimistic and feeling good about yourself can help you to cope with life’s challenges. If you are able to control important aspects of your life, you are one step closer to achieving positive ageing. Managing stress –Stress is a part of everyone’s life, and is a natural reaction. Stress can affect our lives negatively, depending on the kind of stress it is. We won’t be able to prevent stress completely, but we can manage it so it doesn’t affect our lives too much. Learning how to cope with stress can promote positive aging. A great way to eliminate stress is to practice mindfulness meditation. Gently close your eyes and bring your attention to your breath, breathing in and out through your nose. Notice how your lungs expand with each in-breath and contract with each out-breath. Focus your attention on repeating a mantra in your head. Say “breathing in I know I am breathing in” and “breathing out I know I am breathing out”. Notice how you take each breath in one graceful motion. Allow your thoughts to drift in and out and observe them mindfully without dwelling on them. Gently watch them slip away. 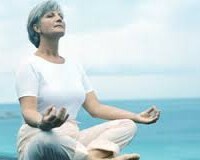 As you gently observe the rhythm of your breathing notice the subtle sensations in your body as you relax and unwind. Move towards the stillness in your mind and feel how your body is free of tension. Breathing out I know I am alive and free. Bring your attention back to your surroundings. Move your fingers and toes and slowly turn your head from side to side. Inhale and draw your shoulders up to your ears. Exhale and release your shoulders with a shrug, Repeat 3 times. Bring your hands together in prayer position at your heart centre, keeping your eyes closed bow your head and pause for a moment – Feel grateful for taking this time for yourself. 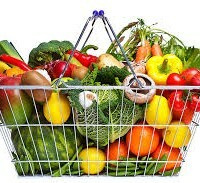 Take care of yourself – Look after your body – Maintain healthy eating habits. What you eat should be whole, minimally processed and nutritious and as close to its natural form as possible. Eating healthy is about feeling great, having more energy, improving your outlook, and stabilizing your mood. Regular exercise and physical activity can help you stay healthy, energetic and independent as you get older. Many adults aged 65 and over spend, on average, 10 hours or more each day sitting or lying down, making them the most sedentary age group. Aim for 30 minutes exercise at least five times a week. This can include: walking fast, water aerobics, riding a bike, playing doubles tennis, using cross trainer & treadmill at the gym and swimming. Be age-positive – There’s a new, age-positive mood permeating the fashion and beauty world. It would appear that we’ve reached a point where old is the new young – with 50-, 60-, 70- and 80-somethings starring in advertising campaigns. Be aware that there is now an age-blind generation of designers and stylists producing great clothes for you. 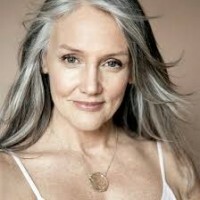 On Instagram, grey hair is having a fashion moment with younger models opting for gorgeous grey #grannyhair (this hashtag has over 33,000 Instagram posts). We should appreciate what we have, rather than moan about what we don’t have. It’s also important to remember that not all of us are lucky enough to grow old. And it’s invaluable to remind ourselves of how recent and widespread longevity is. We’re living longer, healthier lives than ever, yet we’re spending more time worrying about it. We need to look forward to ageing – not just tolerate it. It’s much easier to do this if we recognise that to age is to be blessed! Annie Moore CThA, RCCA, ITHMA Clinical massage therapist and owner of Vidatherapy Spa, Teddington.